Happy Holidays! We all have things we love about the holidays, like spending time with friends and family, giving back, parties, and, yes, the food is the holiday cherry cheer on top. But, what’s the food pretty much everyone loves during the holidays? Cookies, of course! So, for this month’s Foodie.com post, I couldn’t resist sharing my favorite 15 Christmas cookie recipes to make Santa drool. After all, a happy Santa makes for lots of happy gifts, right? I bake a ton of cookies during the holidays to give as gifts and to send with Mr. Savvy to the office. It’s just so heartwarming to see how your loved ones react to delicious homemade goodies. One of Mr. Savvy’s favorites are my Browned Butter Oatmeal Chocolate Chip Cookies (pictured above) that I’ve been perfecting over the years. He’s kind of a Grinch with those in that he doesn’t really want to share, though. ;) Some of my own favorites are sugar cookies and gingersnaps. 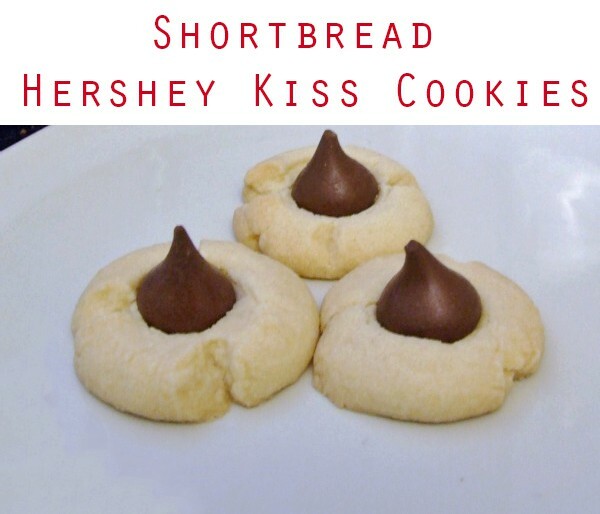 This shortbread Hershey Kiss cookies recipe is one of our most viewed recipes! What are some of your favorite cookies to make during the holiday season? 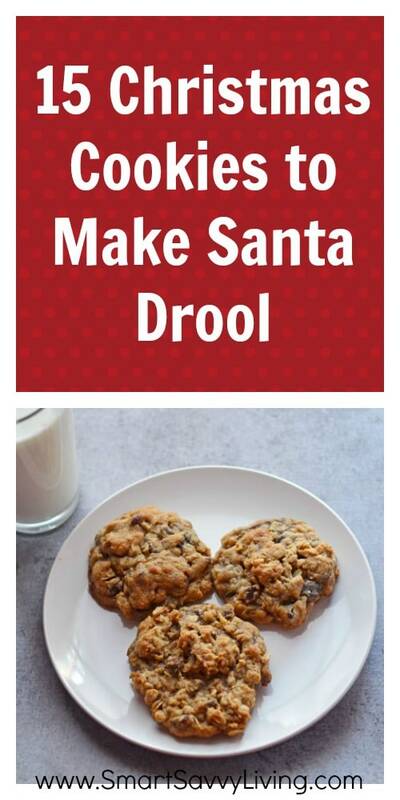 Love these 15 Christmas cookie recipes to make Santa droll? Check out these Holiday Appetizer Recipe Ideas too! Even though Christmas is over, I am drooling over these. Yummmm!